With the Red Sox having locked up their first AL East title in 12 years, we thought it'd be fun to take a stroll down memory lane and review what the team looked like the last time it won the division crown -- 1995. 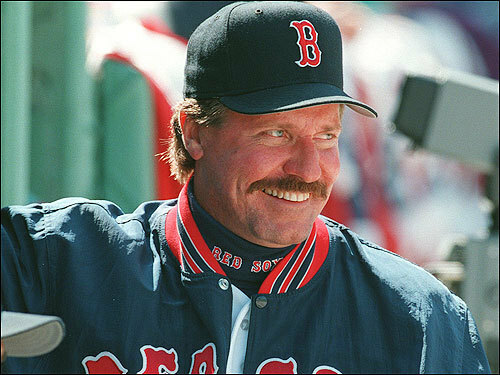 In a strike-shortened season, manager Kevin Kennedy led the Red Sox to an 86-58 record behind great pitching from Tim Wakefield (you might know the name) and an MVP season by Mo Vaughn. Boston finished seven games ahead of the Yankees, but lost to the Indians in the ALDS.